This DVD gives you ten more awesomely effective techniques for embellishing your chords and making your songs sound beautiful and professional. 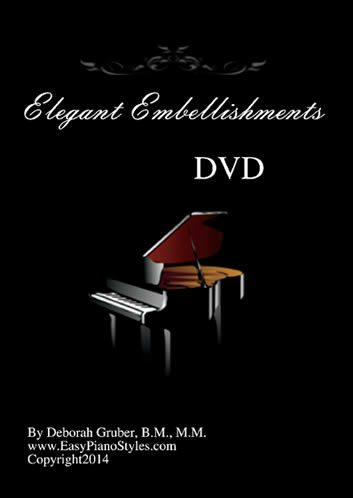 This DVD contains ten complete chapters with all techniques demonstrated slowly and clearly, then applied to a song! Some of these embellishments are for a single hand and others include both hands.